March | 2014 | Normative Signs: The Poetry of "Ought"
Are Unquantifiable Hazards the Best or the Worst Kind? What’s not to love about the sign in this photo from just outside Bristol, England? The sign is apparently posted adjacent to an area of felled trees and marshy land. 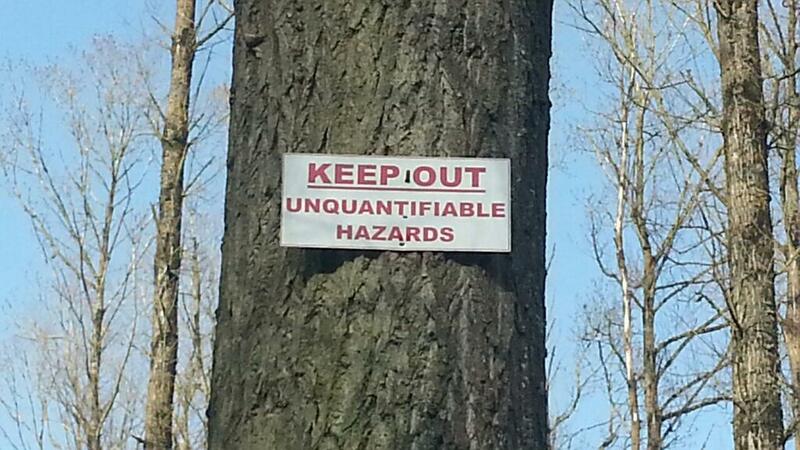 I love the idea of warning of an “unquantifiable” hazard. Of course, many many hazards are unquantifiable, or at least unquantified — after all what’s the probability, precisely, associated with drinking irrigation water or allowing children to pump gas? It’s also worth noting that most people — or is that just most people here in North America — would have very little idea what the word “unquantifiable” means. 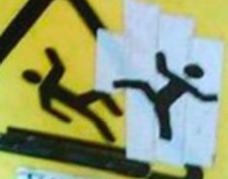 It seems rather a subtle point to put on a sign, really. Thanks to Ursula Wills-Jones for the picture. 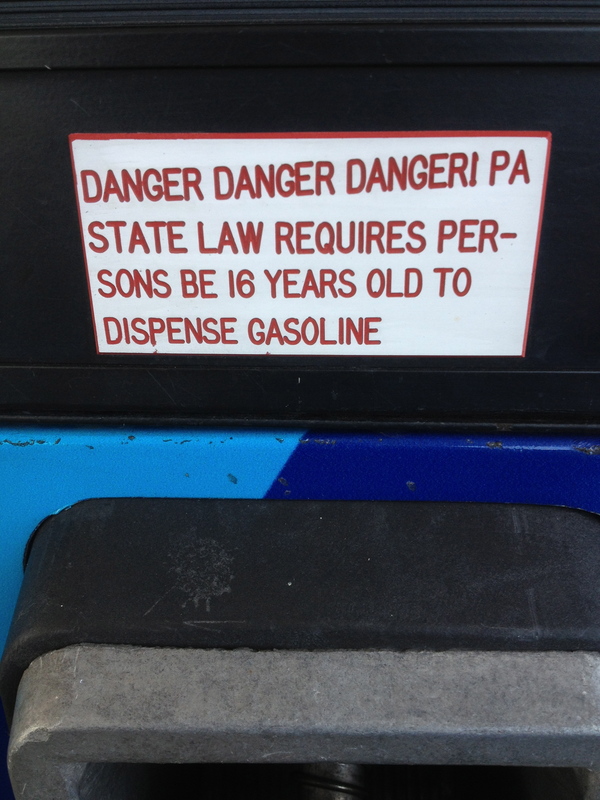 I spotted this sign on a gas pump in Pennsylvania. I can pretty readily imagine the pattern of events that must have led to it being necessary to post such a sign. 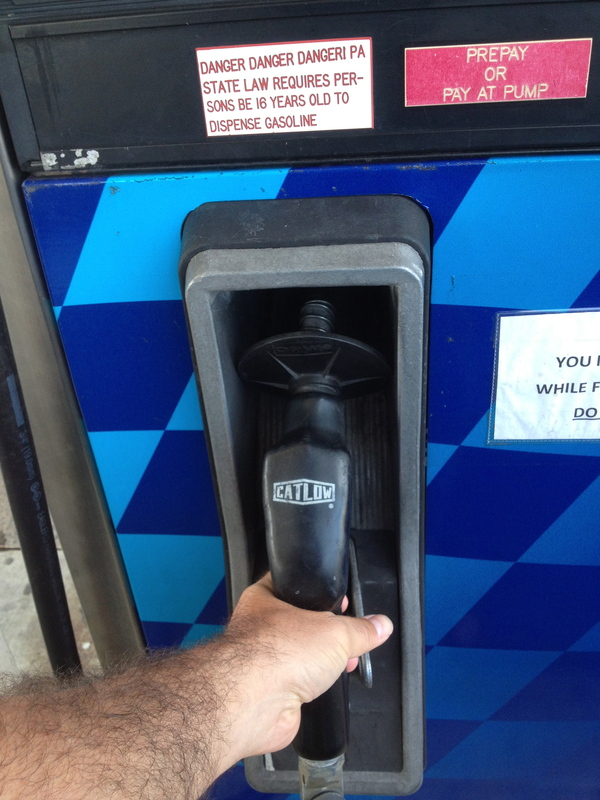 After all, if a 12 year old is pumping gas, he may not be mature enough to remember not to smoke while doing so.